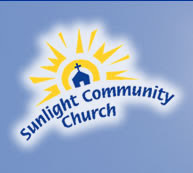 Our week at Sunlight's VBS.... click here! Vinny needed a new look for the summer.... A bright blue mohawk! Today was the first VBS of the summer for the kids. This year I volunteered to be a leader. What a wonderful young bunch I have. Nicholas got to stay with me and was pleasantly surprised to have buddies Eli, Ryan and Kyle. Our group also includes twin girls, two six year old buddies, a very serious prek student and his best friend who is in 3rd grade. Our mainly boy group survived the first day of Crocodile Dock and is looking forward to tomorrow! We took the kids to the River Center and Busch Wildlife Center over the weekend. Happy Birthday to a special 'someone' out there. Know we are thinking of you tonight and everynight until our dream comes true. Five fun moms + fourteen funny kids = summer in south Florida! Every trip to Nana's means a trip to the zoo. Since its summer we had to try out the fountains. They found 3 hermit crabs and a blue clawed crab..... Until our next beach adventure! Schools out, must be swimming time! Sal received the 2nd place metal for outstanding reading (295 books) this year. Kelli received the top honor in her class, Superstar Student of the Year (classroom). Along with their buddy AJ (who won Superstar Student of the Year [classroom] and Superstar Student of the Year [kindergarten]). We are very proud of these super kindergartners, bring on first grade! We had the pleasure of receiving 4 tickets and a backstage tour of Cirque du Soleil when it preformed at BankAtlantic. We along with the Ward's were amazed by the characters and costumes. We spent the entire show mentally matching up the actors we met backstage with the characters on the stage. We 'heart' Brian for gifting us these wonderful memories. Saltimbanco -from the Italian "saltare in banco", which literally means "to jump on a bench"-explores the urban experience in all its myriad forms: the people who live there, their idiosyncrasies and likenesses, families and groups, the hustle and bustle of the street and the towering heights of skyscrapers. Between whirlwind and lull, prowess and poetry, Saltimbanco takes spectators on an allegorical and acrobatic journey into the heart of the city. Saltimbanco is a Cirque du Soleil signature show inspired by the urban fabric of the metropolis and its colorful inhabitants. Decidedly baroque in its visual vocabulary, the shows eclectic cast of characters draws spectators into a fanciful, dreamlike world, an imaginary city where diversity is a cause for hope. Vinny participated in Golf Camp with 50 other PSL youths. then learned some of the fancy foot work. We played aloha bingo and was in a water balloon toss. We had a great kindergarten year. Love they neighbor is too hard when your neighbors have the manners of howler monkeys. Since the "renters" have moved in we have had no sleep. Hello! yes it is nice to have a pool but screaming and diving in at 1:15 in the morning on a school day? If the noise wasn't bad enough is it necessary to have every outside light on? Our house was lit up like Shea Stadium! Since we have had no rest, I marched the sleepy children off to school and took Nick to the doctor for his last shot. Why is it our doctor got her medical licence out of a cracker jack box? Couldn't you tell me when I made the appointment he could not get his shots today, I need to wait until 1 month after his last appointment? Take me out to the ball game, Take me out with the crowd.